Natural Iguana Food Juvenile formula contains higher amounts of protein to promote growth and optimum health in younger iguanas. Smaller pellets for easier consumption. 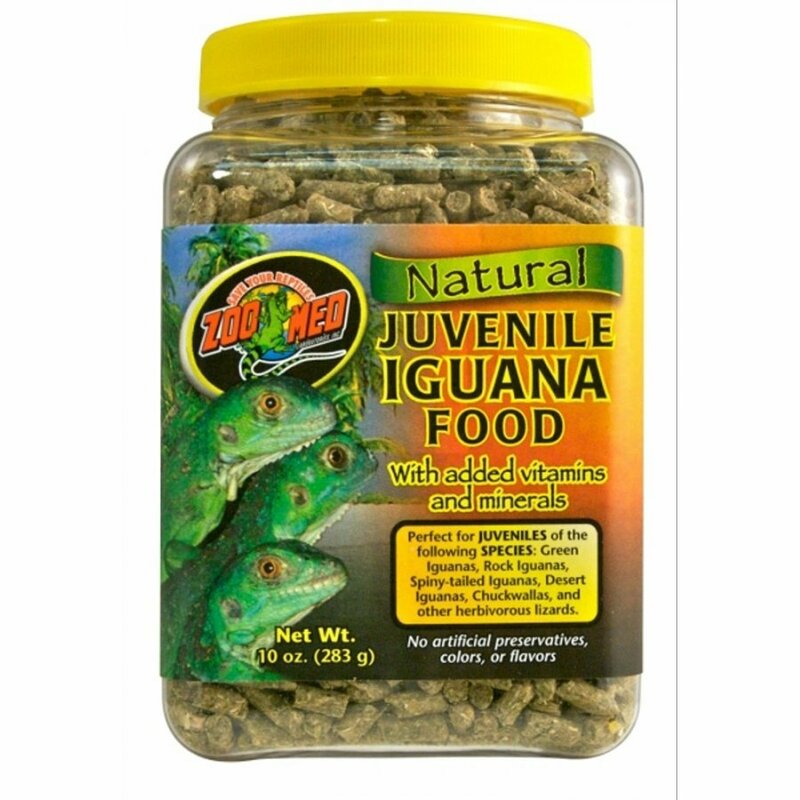 Natural Iguana Food - Juvenile has different options and/or variations, please choose below. Sun Cured Alfalfa Meal, Wheat Middlings, Soybean Meal, Fish Meal, Ground Lima Beans, Soybean and Corn Oil, Collard Greens, Mustard Greens, Kale, Glycerine, Yeast Culture, Dried Spirulina microalgae, VItamin E Supplement, Mixed Tocopherols, Rosemary Extract, Ascorbic Acid, Citric Acid, Lecithin, Silicon Dioxide (carrier for liquid antioxidants), Ascorbyl Phosphate (stabilized Vitamin C), Choline Chloride, Vitamin A Supplement, Vitamin D3 Supplement, Niacin Supplement, d-Calcium Pantothenate (source of Vitamin B2), Menadione Sodium Bisulfite Complex (source of Vitamin K acttivity), Riboflavin Supplement, Thiomine Mononitrate (source of Vitamin B1), Pyridoxine Hydrochloride (source of Vitamin B6), D-Biotin, Folic Acid, Vitamin B12 supplement, Zinc Oxide, Manganous Oxide, Iron sulfate, Copper Sulfate, Calcium Iodate, Sodium Selenite.